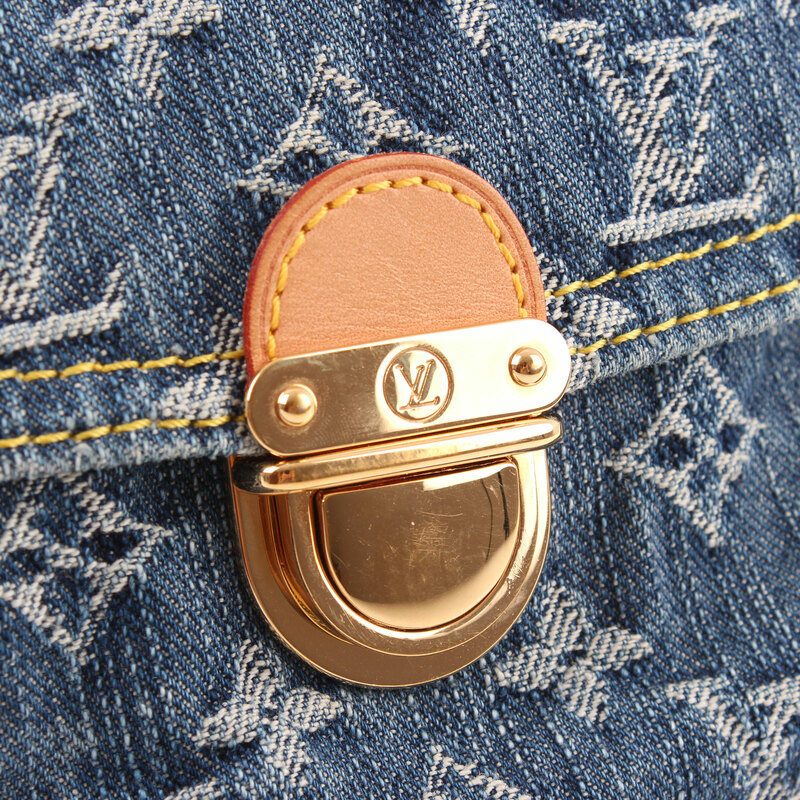 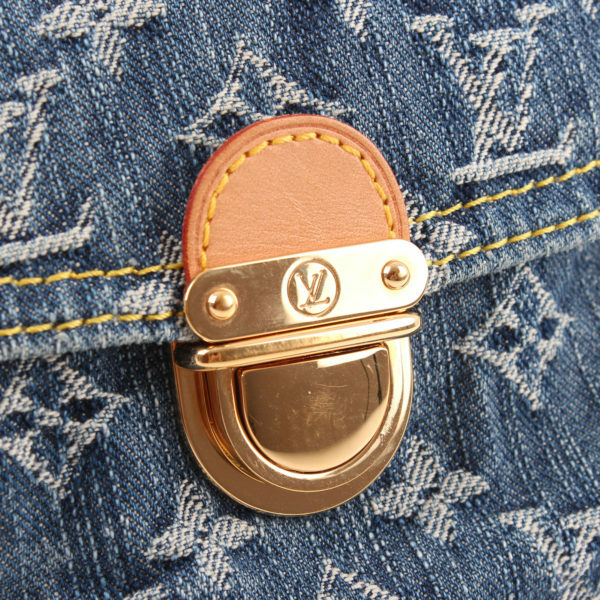 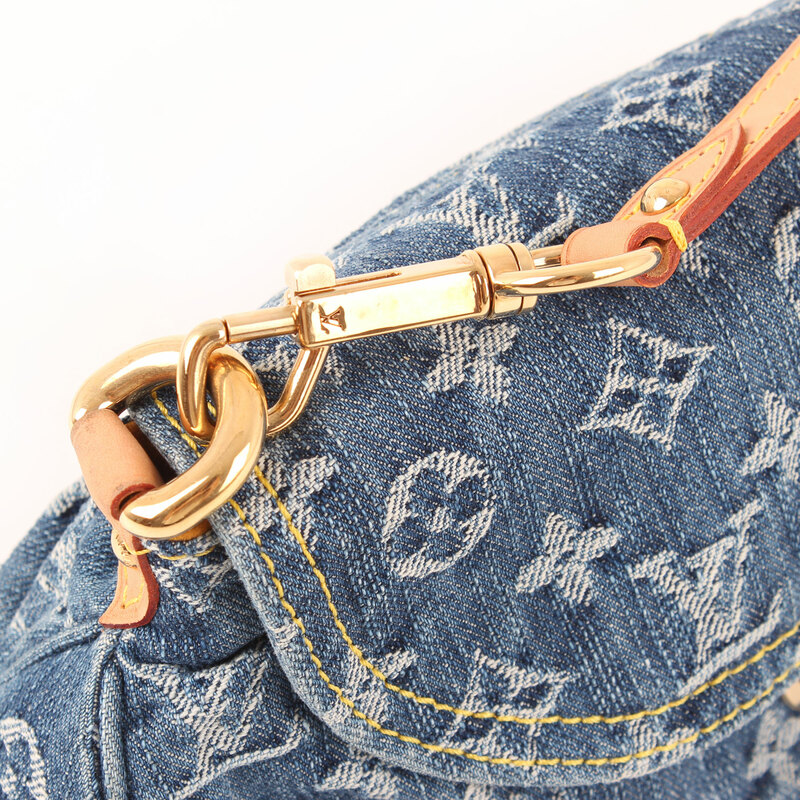 Louis Vuitton Pleaty Denim Monogram. A small, easy to carry shoulder bag. Give the “jean chic” touch to your casual outfits. 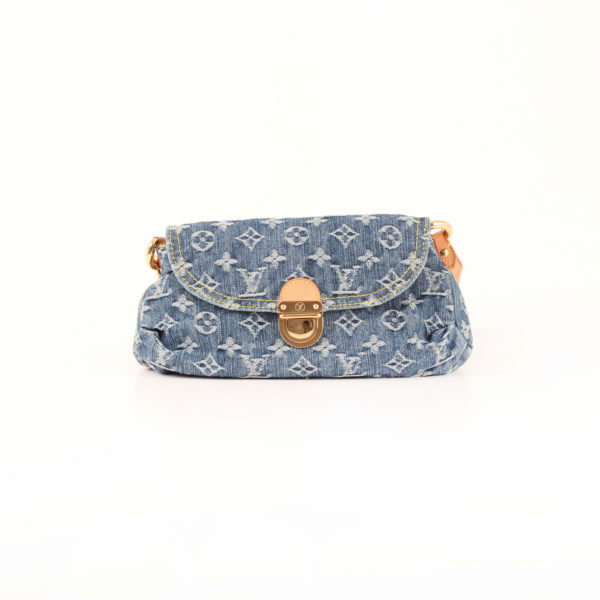 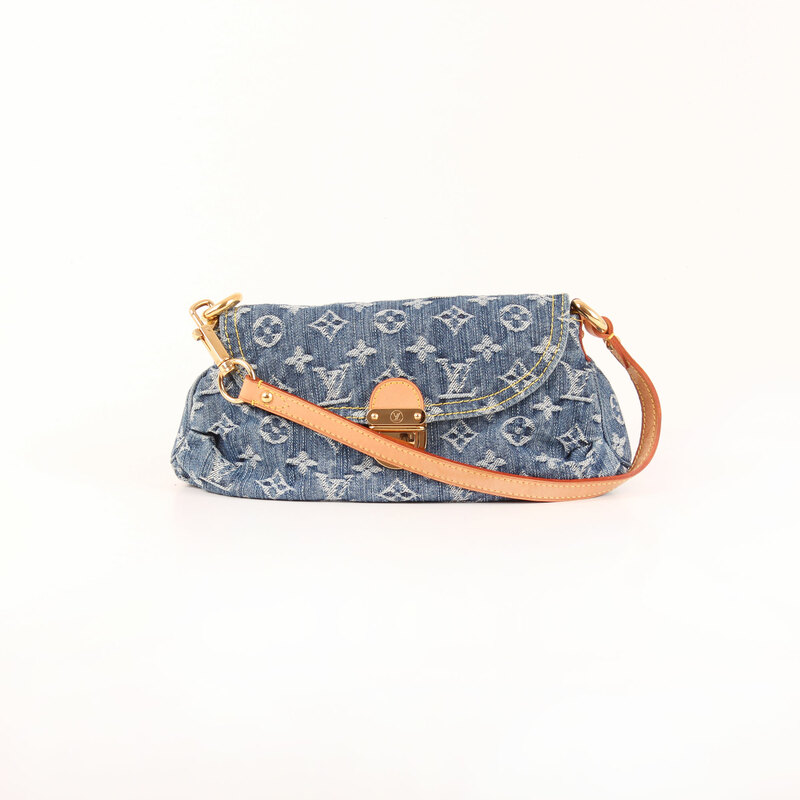 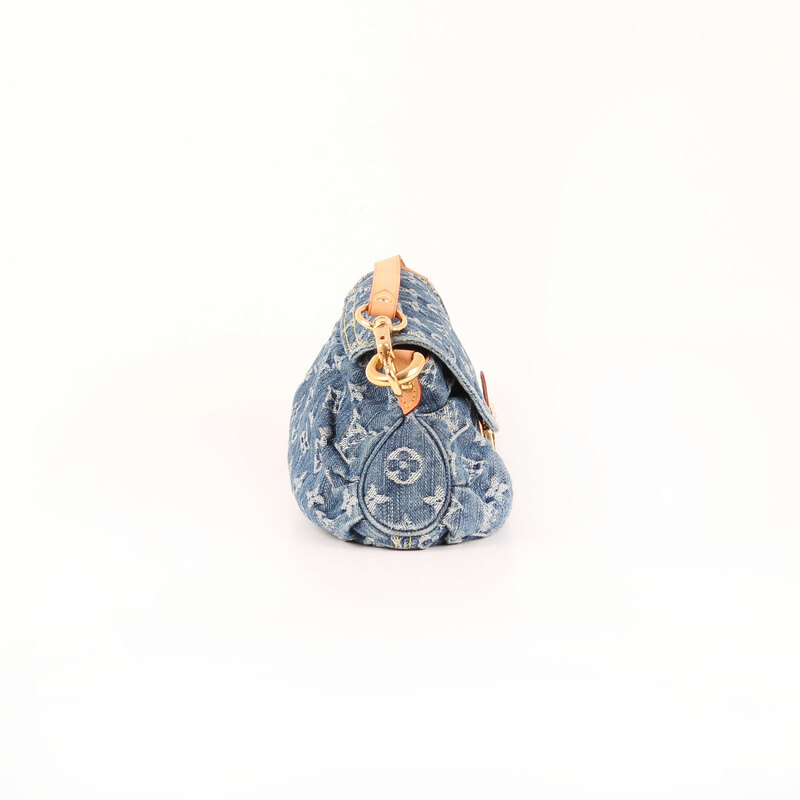 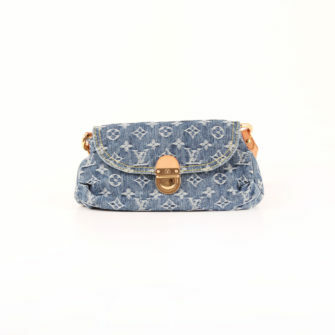 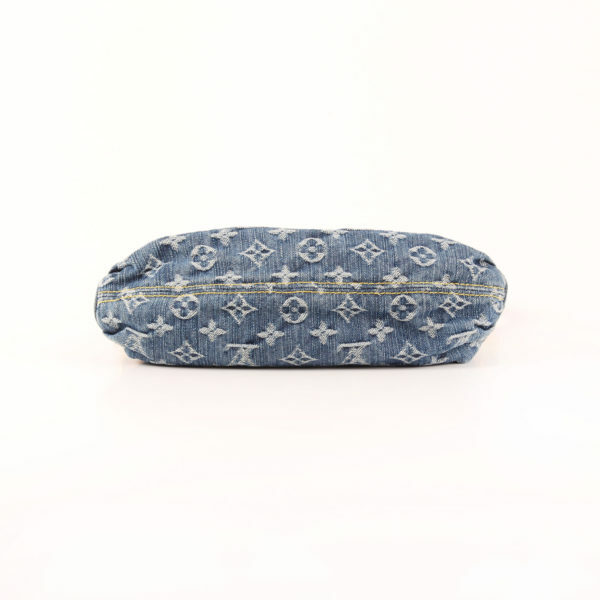 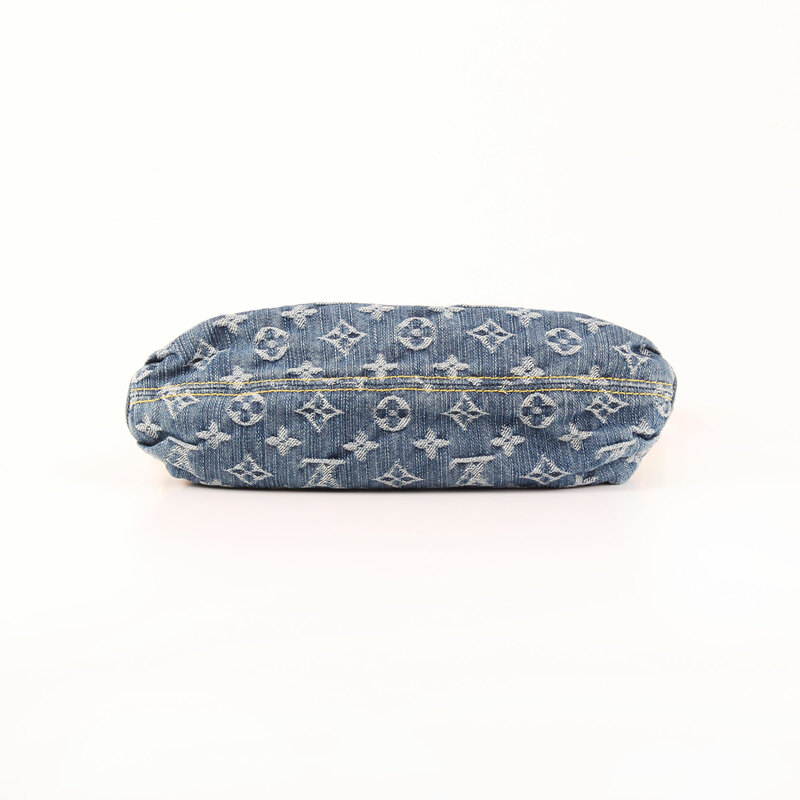 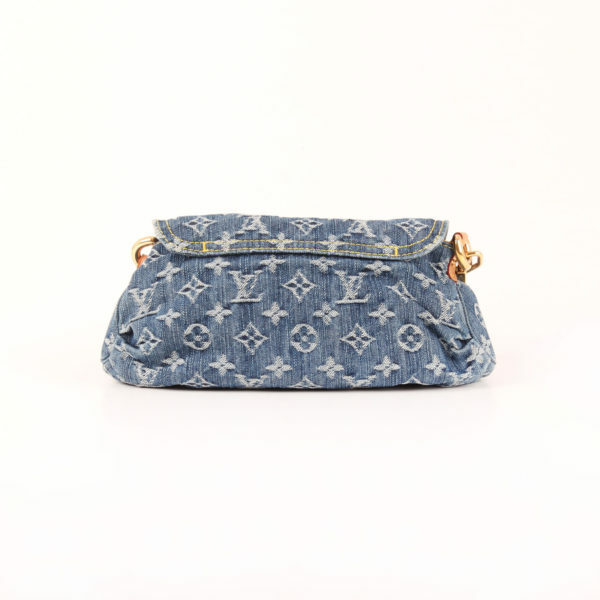 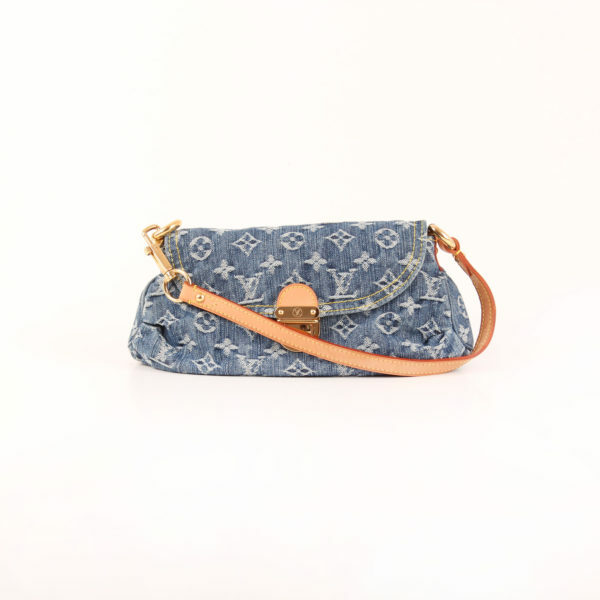 Pleaty Bag in patterned jean Monogram from Louis Vuitton. Thought to be carried on your shoulder. 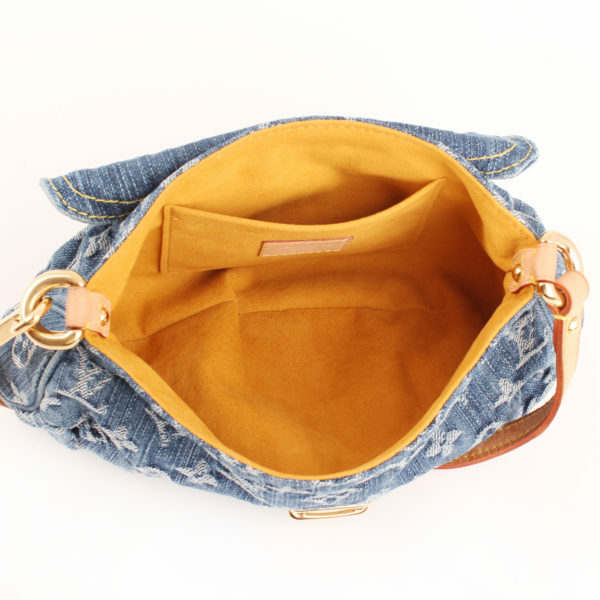 It features a natural leather removable strap from one side thanks to a carabiner, gold hardware and blockage lock clasp with flap. 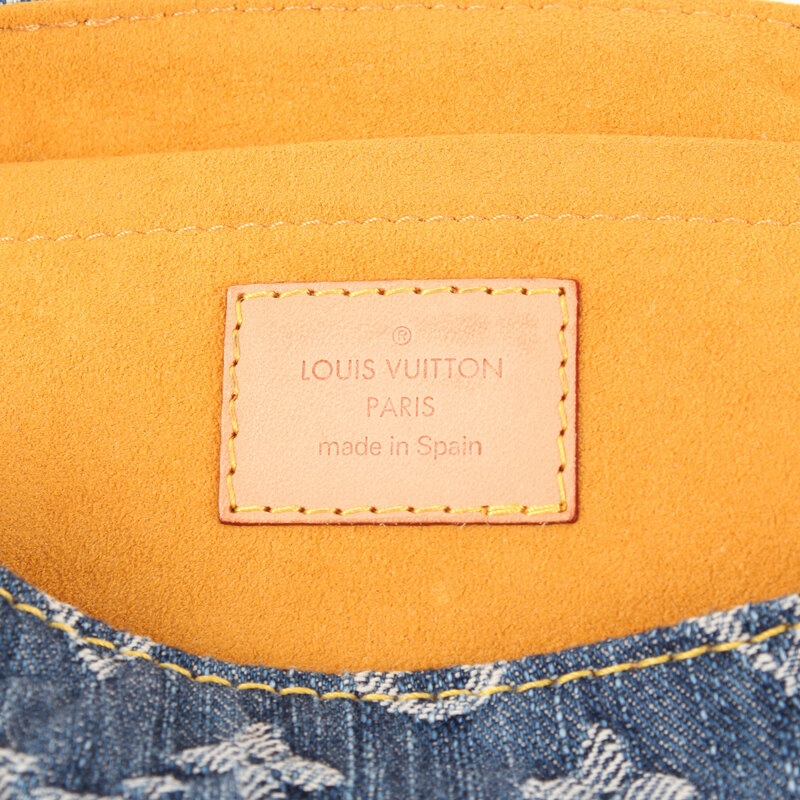 Under flap we discover yellow suede lining showing an open pocket. 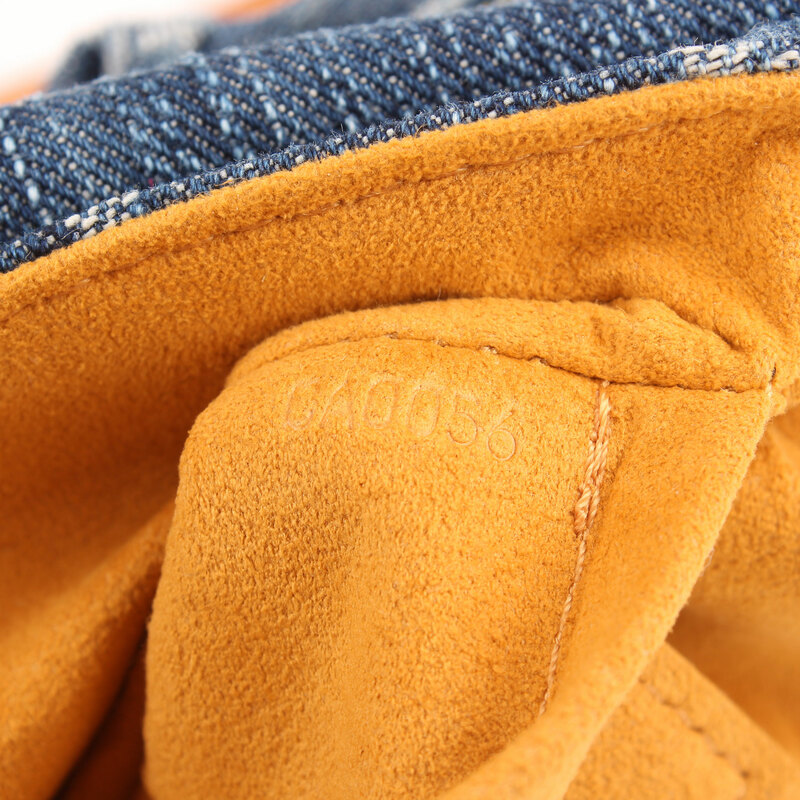 Details: Some scratches in natural leather and hardware. Denim in very good condition.